UPDATE 12/12/17 - Possible confirmation! LUSH have been contacted regarding the glitch and have removed the old pages. The pages remaining are Celebrate Shower Gel, Ice Blue Shampoo, Spice Curls Soap and Candy Fluff Dusting Powder. I was very sceptical of how The Kitchen was going to change and bounce back after closing a few weeks ago, but so far I've been really impressed. We've had solid perfumes and body sprays in popular scents, which although they caused a website crash when first released, are still in stock almost a month later. When The Kitchen said they were going to be releasing larger batches I really didn't believe them, but I'm about ready to eat my words. The real test will be how long tomorrow's releases stay in stock. 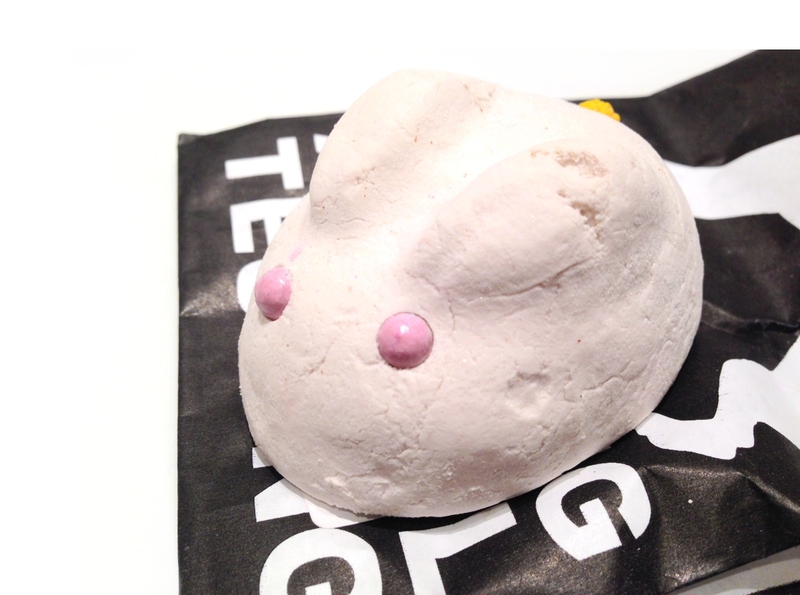 I can't wait to get my hands on some Calacas and So White shower gels, along with a Peeping Santa bubble bar or two. What do you think? Expired listings, or sneaky previews?